The morning opened with a presentation by Sr. Alessandra Smerilli (Professor in the Pontifical Department of Educational Science in Rome) on the theme: "The economic and civil significance of charisms". She highlighting the specific characteristics of charismatically-generated works while considering: that they arise to respond to a specific need, that they are characterized by gratuitousness and reciprocity, are not transmitted by "techniques" but by encouraging the birth of vocations, and they have the specific characteristic of beauty even while remaining simple. Then, Smerelli put in light the need to live the three levels of Love (in the sense that Benedict XVI specified in this encyclical Deus Caritas est) - Eros, Philia and Agape - within the works and among those who work for them. In Eros, what can be identified are contractual forms; in Philia, the friendship necessary to work together with profit towards the same objective; and in Agape, the indispensible gratuitousness to work for a work generated by a charism. At the conclusion of her presentation, Alessandra Smerilli underlined the vital importance of knowing how to opportunely identify those in an organization who offer constructive criticism. These ought to be listened to, because they generate loyalty and reciprocity. 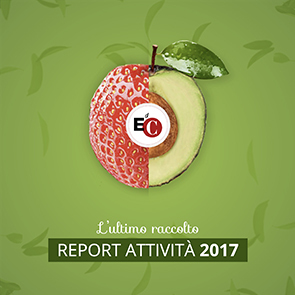 This was followed by a presentation by the Association "Per Tutti" (For Everyone), which includes the cooperatives and consortiums that adhere to the EoC. The organization presented it´s history and experiences of service, not only in the field of psychiatric and social assistance, but most of all it´s specific realities that have arisen and grown from contact with religious institutes and congregations. These realities have, in turn, generated other cooperatives and consortiums in collaboration with religious, of which many today are autonomous and functional enough to efficiently and effectively satisfy the needs for which they arose. In the afternoon, during the working groups, what emerged was the need for alliances between lay and consecrated people at the service of charisms and among the charisms themselves, in the search for answers to the questions posed by their founders with respects to today´s challenges. Participants appreciated the unifying role and opportunity offered by the Economy of Communion for dialogue - which was at the same time both intercharismatic and communitarian - recognizing in such a happy expression of Chiara Lubich´s charism of unity. At the conclusion of the meeting, Luigino Bruni thanked everyone and set a second appointment for next year, which will take place at the Lionelle Industrial Park and give voice to the concrete experiences begun and that will have matured throughout this next year. Bruni invited everyone to work together in a global, cross-exchange communion, concretely sharing life and hope.